First Friday, May 3 – Opening Sentences: Winners and Losers? 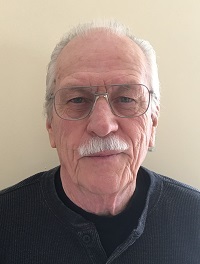 Jim Guigli began writing with single sentence entries for the 2005-2006 Bulwer-Lytton Fiction Contest. From thousands, one of Jim’s 63 entries was selected as the Grand Prize winner. It was about a beautiful, mysterious woman visiting the small office of an impoverished private detective, Bart Lasiter. Benefits from winning the Contest included world-wide notice, print, radio, and TV interviews. Though the Contest is about writing a bad opening sentence to a non-existent novel, people kept asking, “What about the rest of the book? What happens to Bart Lasiter?” After hearing those questions too many times, Jim took that one sentence and created the Old Town Sacramento fictional world of Bart Lasiter, and Lasiter Investigations. Since then, Jim has published a Kindle novelette, Bad News for a Ghost, and written unpublished short stories and a novel. Many of these stories have won awards. In this presentation, Jim will reveal the secrets to winning the Contest. Jim will read examples of winning sentences, and use the Bulwer-Lytton Fiction Contest as an example of the value in writing and perfecting one sentence at a time, whether bad or good. The California Writers Club–Sacramento Branch Networking Meeting is held the first Friday of every month at Coco’s Restaurant, 7887 Madison Avenue, Citrus Heights, at the corner of Madison and Sunrise, starting at 9 a.m. Meetings are free. Attendees pay for their own breakfast. Questions? Ask via our Contact page. In 2017, Kathy “Kanika” Marshall wrote The Ancestors Are Smiling! which is a collection of uplifting, funny, touching, maddening, and sometimes harrowing real life stories, creatively told by Marshall’s ancestors and their descendants. 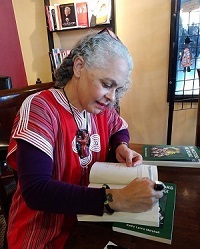 In 2018, she published a research-oriented storybook investigating her enslaved ancestors from Maryland, entitled Finding Otho: the Search for Our Enslaved Williams Ancestors. These true stories are woven by Marshall with the African fabric of American historical events. 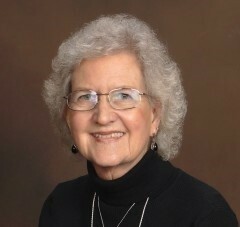 Marshall has been exploring her family roots off and on since 1976 and is a self-avowed missionary for family history, encouraging others to write their own family history stories NOW! Marshall was a researcher, analyst, and technical writer for the California Highway Patrol for 36 years. In addition, she has been the owner/artist for her Kanika African Sculptures business since 1993, sharing her love for African fabric, clay, welding, and ethnic-inspired, indoor-outdoor sculptures. This presentation will provide attendees with a useful list of hints, tips and examples that will give them the tools to write and successfully self-publish their own family history book. Attendees will learn how to plan their own book, set up an effective book framework, gather information, write their book, and self-publish their own masterpiece. Sigrid Bathen is a Sacramento journalist who was a staff writer for the Sacramento Bee for 13 years and has written for numerous publications (see website www.sigridbathen.com). She will discuss the changing face of journalistic writing, as lines become blurred among the various forms of journalistic writing (e.g., newspapers, magazines, newsletters) and other types of public-policy and PR writing. She will also introduce us to the many options open to freelancers in the publishing and media world today, and will bring examples of different forms of magazine-writing. Sigrid has been an adjunct professor of journalism and communications at California State University, Sacramento, since 1988. She has served as the communications director for three state agencies. She has also taught journalism at California State University, Chico, and in the Los Rios Community College District. In 2013, she was honored by the Sacramento Press Club with a scholarship in her name. Her writing has won many awards, including several for outstanding contributions to public understanding of mental health. She was nominated for a Pulitzer Prize for her Bee coverage of conditions in Stockton State Hospital. She was the first chair and co-founder of the Women’s Caucus of the Sacramento Newspaper Guild and was the first president of Sacramento Women in the Media. 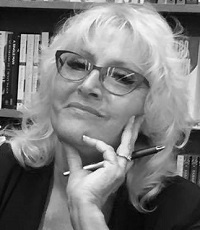 Her Master’s thesis, “The Girls on the Bus,” about women political reporters, has been excerpted in several magazines and is available in the CSUS Library and on her website. Different levels of editing are needed at different points. For example, an artistic ability is needed with graphics rather than words. Tedious jobs should be handed off to someone with an eye for detail. Though all functions are needed to achieve a creation of which the author can be proud, the distribution of tasks is up to you. Understanding what is involved will make the journey more predictable for you. 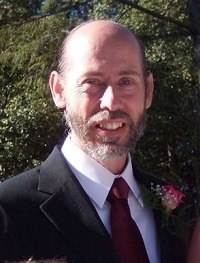 Westley Turner spent his early home years with “a pair of school teachers.” His first career focused on math and computer science. He later turned toward more creative pursuits when he became an editor: of stories, books, encyclopedias, endeavors that led him into investigation of the printed word. Learning by doing, he formatted and laid out a non-fiction book whose first run sold out the weekend it was released. Now branching out into audio books, Westley says that he will never run out of challenges, wanting to learn how to do it all himself.